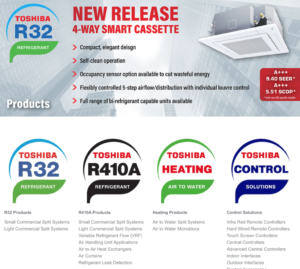 Toshiba Air Conditioning has launched an updated website that gives customers quick access to the company’s comprehensive range of product support, training and technical resources. Toshiba Air Conditioning UK is a part of UTC Climate, Controls & Security, a unit of United Technologies Corp.
Resources include Toshiba’s online commissioning and warranty tool, which holds data on project installations, including dates, equipment and spare parts, plus commissioning records with details of engineers involved at each stage. 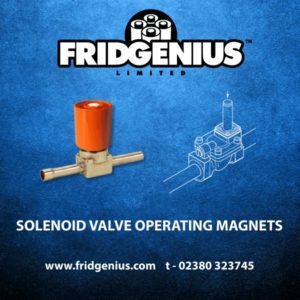 Registered users can also view an installation’s service history and check refrigerant charge data, useful for meeting F-Gas reporting requirements. 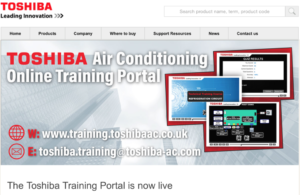 The website gives access to Toshiba’s new training portal, enabling installers to book both online courses and classroom-based technical training. Engineers can set up an individual account which automatically records details of courses successfully completed, confirming entitlement to enhanced warranty cover on projects. Every Toshiba product has a download centre, giving access to the latest versions of data sheets, owner’s and service manuals, while a spare parts section enables users to identify and order replacement components online, with rapid next-day delivery to anywhere in the UK. A technical resources area includes demonstration videos, trouble-shooting guides, and FAQs on key topics such as handling R32. 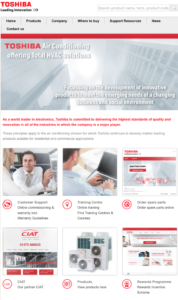 It also gives users access to a comprehensive range of sales support tools, including Toshiba’s latest design software and Auto CAD icons. For topics not covered, there is an online query link enabling users to submit questions to Toshiba’s technical team for rapid response. 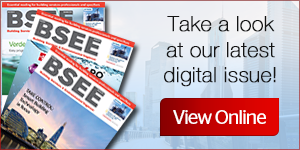 Customers can also access their personal Rewards programme account, which enables them to keep track of points and directly purchase items from an enhanced range of incentives and Toshiba merchandise.